Palisades Rocks the 4th was started in 2008. See below for highlights from prior shows. 7.4.18 WAS A GREAT NIGHT! 300 minutes of live music; on two stages; 100% local musicians and friends; and the fireworks! 2017 Palisades All Stars, directed by local musician and educator, Tom Farrell, along with jazz drummer and local music teacher Dylan Ryan. Farrell and his wife, Reiko Nakano, own and operate a music school, Sound Roads Music in Santa Monica. 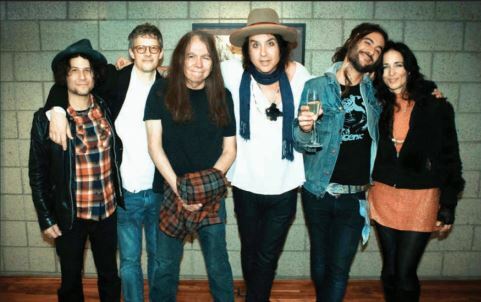 Special guest TOM FREUND (BEN HARPER, BRETT DENNEN, AND MANY OTHERS). Directed by local musician and educator, Tom Farrell, along with esteemed jazz drummer Dylan Ryan. Conrad Smith, Tula Jussen,Kylie Magnis, Jack Ross, Emma O’Neil, Reiko Nakano, Dylan Ollivier, Harry Clennon, Vanessa Gottlieb. 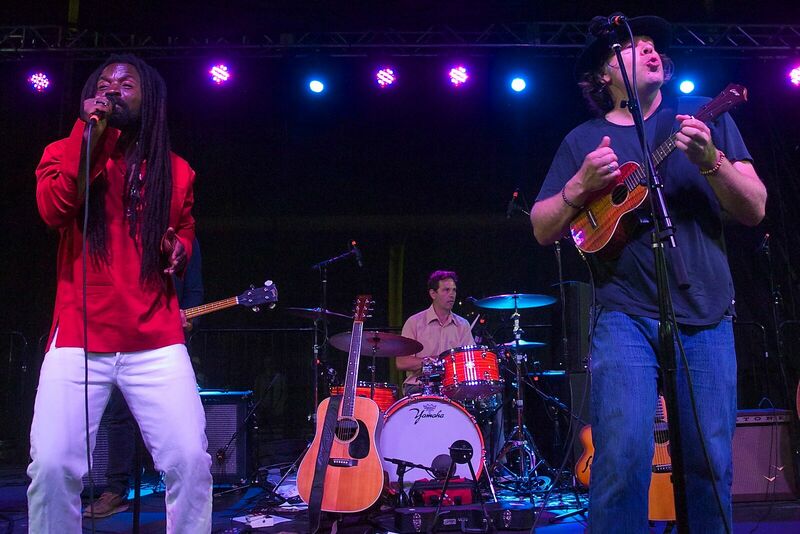 Tom Freund’s connection with Ben Harper is well known, but he has his own music which is on regular rotation on KCRW. 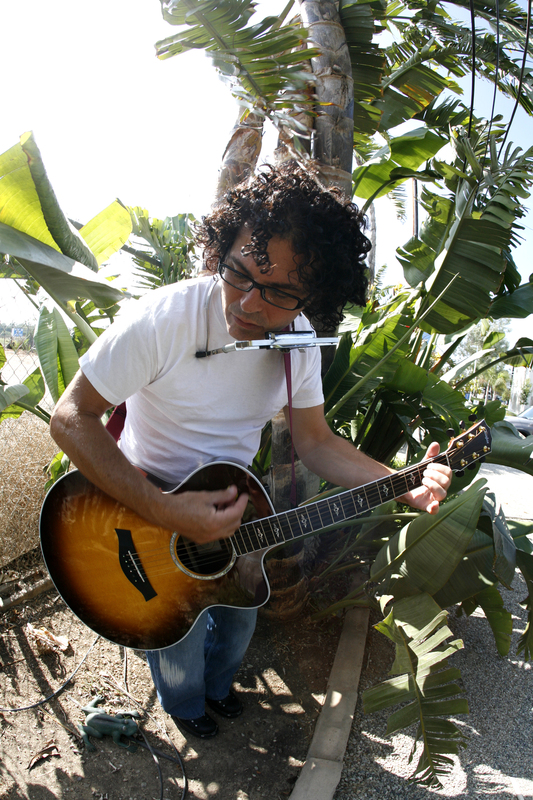 He has also contributed music and playing on albums by artists such as Graham Parker, Mandy Moore, Josh Kelley. 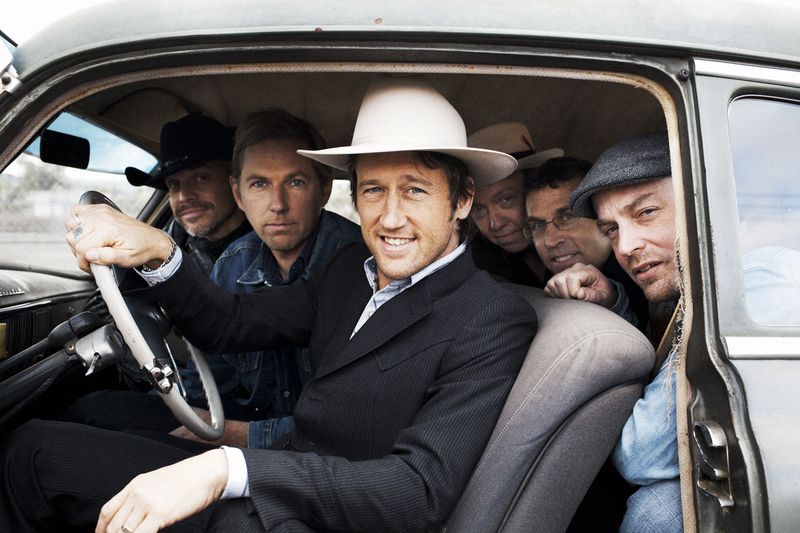 His songs have appeared on many television shows, including Dawson’s Creek and Parenthood. 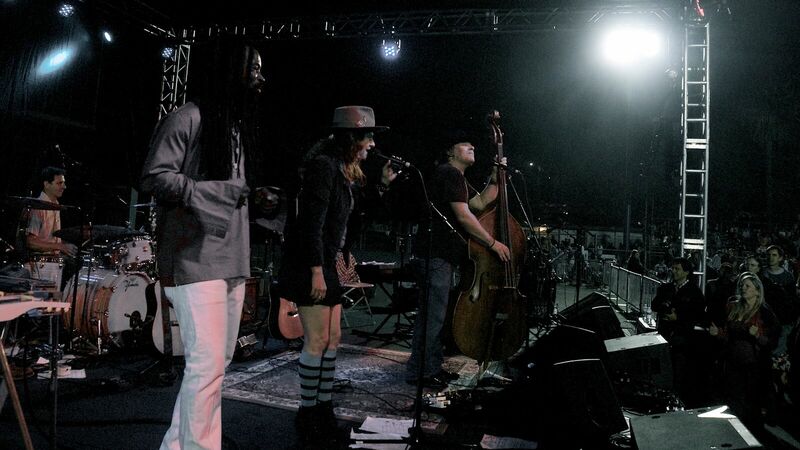 Rock n’ Roll is back in the Pacific Palisades! Featuring world-class artists with celebrated musical talents, the All Star Cover Band promises to bring a surge of classic rock hits to electrify our Fourth of July bash. 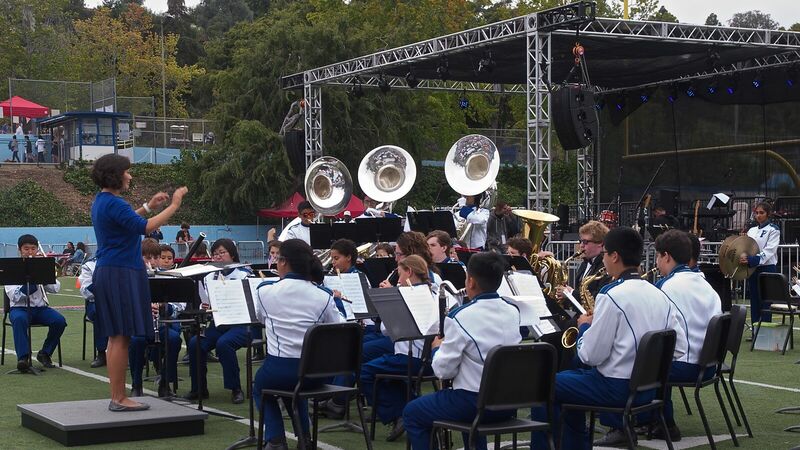 For their sixth consecutive year, the Palisades Charter High School Band will perform in the Palisades’ annual parade and evening fireworks concert. The band represents the growth of the thriving music programs in the Palisades community. The Band has a strong competitive history under the direction of Awren Henandez during the past six years. The Palisades Charter High School Band has won District Championship in 2013 and 2012. The school has consistently received unanimous superiors at SCSBOA Festivals Southern California; placed 1st at WGI Placentia and qualified for SCPA Championships for the first time. Such progress displays the high quality of both the Paul Revere Middle School and Palisades Charter High School music programs as they continue to provide superior music educations that impact students not musically, but in all aspects of life, including professionalism, responsibility, and integrity. Joel Henry Stein has been described as “Led Zeppelin and Bob Dylan rolled into one, making rockin’ folk music that picks you up and takes you on a journey to Woody Guthrie-land, with stops in Velvet Underground-ville.” In addition to his own singer-songwriter material, Joel plays a unique blend of traditional Americana, bluegrass, African American spirituals, Appalachian gospel, classic country, and Hebrew psalms, prayers, and folk songs. 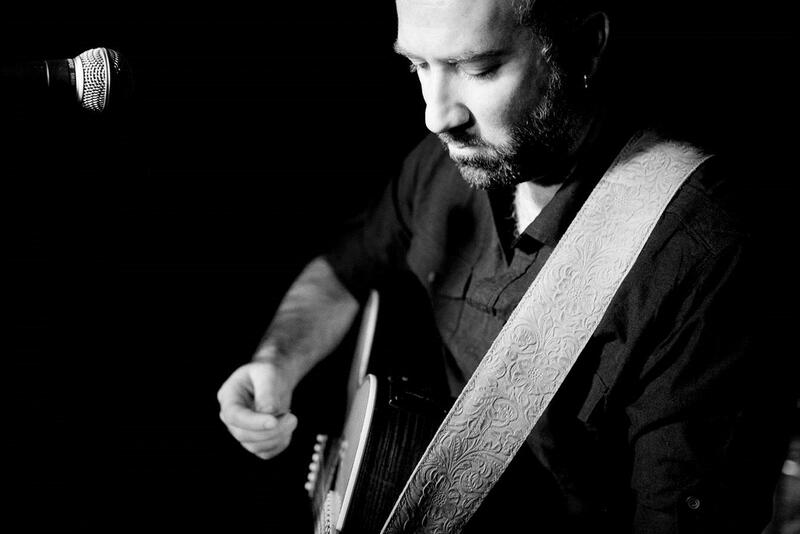 Raised on recordings by folk legends such as Pete Seeger, the Kingston Trio, and Harry Belafonte, Joel’s repertoire of traditional folk songs spans hundreds of tunes from the U.S., Ireland, England, South America, the Caribbean, and Africa. His ability to engage both adults and children through song is a rare talent. 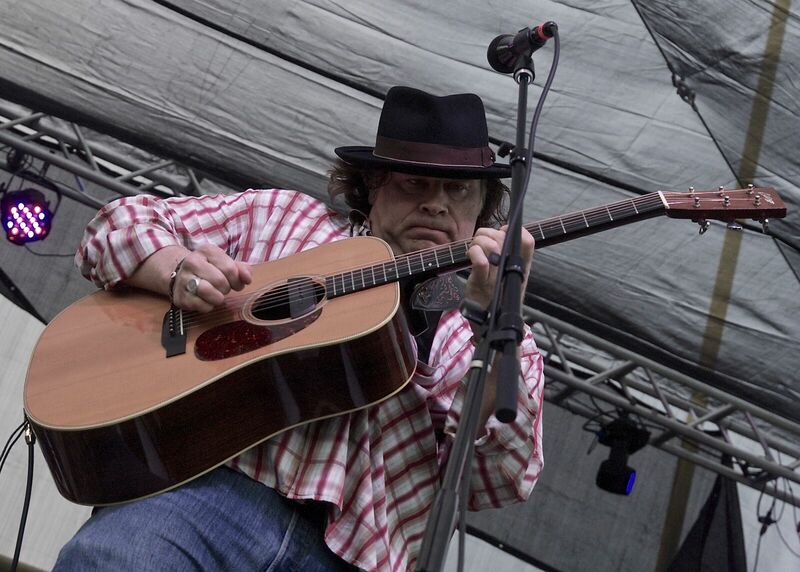 Joel has performed at the Kerrville Folk Festival in Texas, Topanga Earth Day Festival in Los Angeles, Big Horn Music Festival in Southern California, and the Strawberry Folk and Wine Festival in Napa. The 2013 concert was another success. 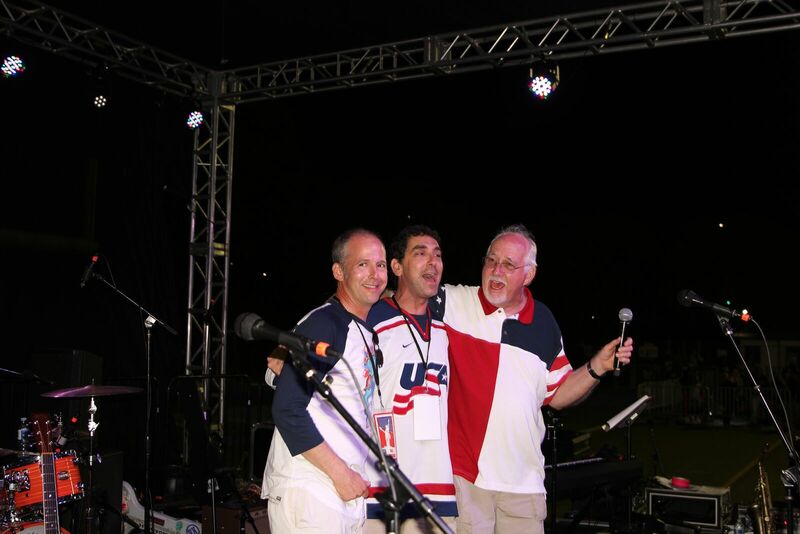 Over 6,000 enjoyed the Sixth Annual Palisades Rocks the Fourth Concert. But it is not too late to contribute the cause. 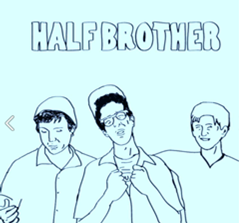 A portion of the proceeds of the show go to the Palisades Charter High School Music Department. 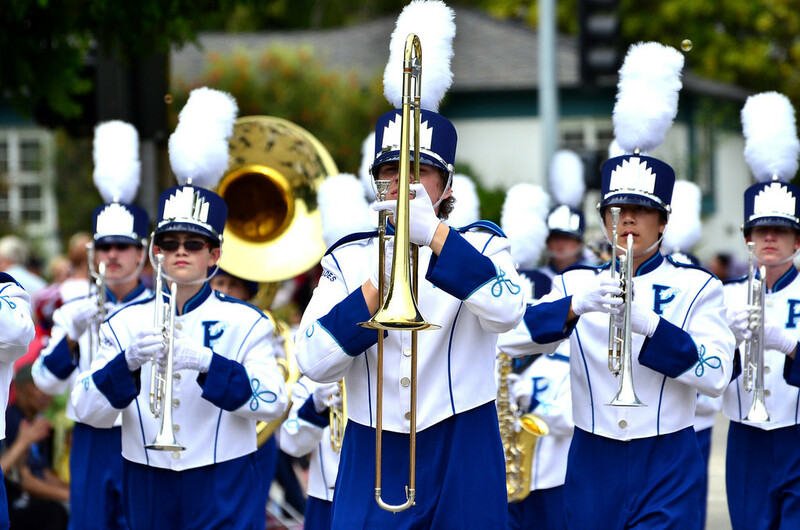 For their fifth consecutive year, the Revere-Pali 4th of July Band will perform in the Palisades’ annual parade and evening fireworks concert. The collaborative ensemble is organized under the direction of the two schools’ band directors, Arwen Hernandez and Yosuke Miyoshi. It represents the growth of the two thriving music programs in the Palisades-Brentwood community as they have grown over the years in size, musical demand, and performance excellence. Such progress displays the high quality of both the Paul Revere Middle School and Palisades Charter High School music programs as they continue to provide superior music educations that impact students not musically, but in all aspects of life, including professionalism, responsibility, and integrity. Arwen Hernandez is in her fifth year as the director of the Palisades Charter High School Band, Drum Line, and Color Guard Program. She currently conducts three instrumental ensembles and one vocal group in addition to directing the fall marching band and overseeing the indoor drum line and winter guard programs in the spring. 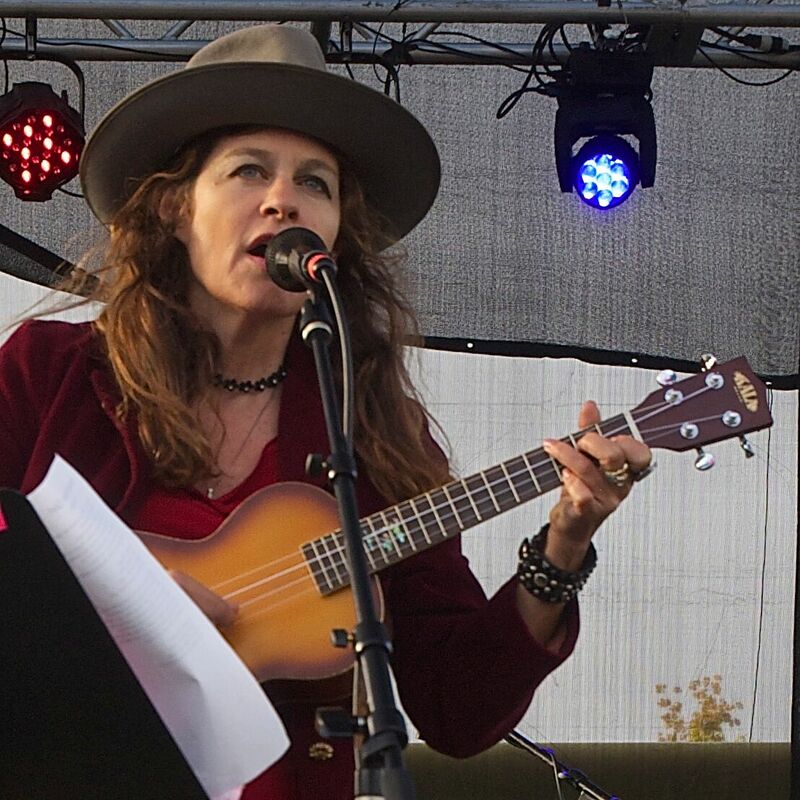 Ms. Hernandez brings a wealth of musical performance and education experience to the program. Before taking her current position, she was a member of the original London cast of “Blast!”, sang in the Los Angeles Master Chorale under Maestro Grant Gershon, and taught various marching bands and drum corps throughout the nation. Yosuke Miyoshi is in his ninth year as the director of the Paul Revere Charter Middle School Band Program, where he currently conducts five concert bands and a jazz ensemble that serve 275 students on a daily basis, making his program one of the largest in the Los Angeles Unified School District. In addition, Mr. Miyoshi has been on the staff of several high school marching bands and drum corps in the Southern California area and has received many awards, including the 2009 Petrick Excellence in Education Award, the Airbourne Teacher Trust Fund Grant, and the 2010 Palisades Charter School Foundation Innovation Grant. The Palisades Charter High School Marching Band has a strong competitive history in the SCSBOA and LAUSD circuits. The 2012 competitive season marked the second consecutive year that the Marching Band qualified for SCSBOA championships. The Marching Band also won LAUSD championships for the second consecutive year. 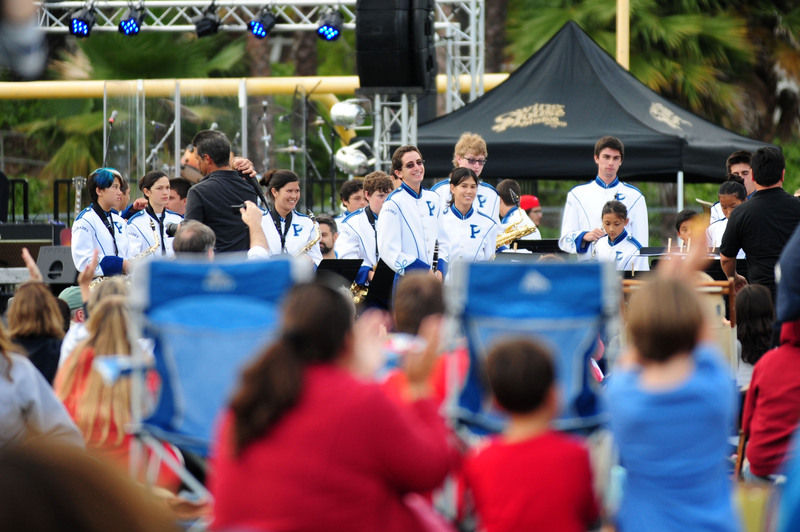 The Palisades Charter High School Concert Band and Wind Ensemble consistently received unanimous superiors at SCSBOA Festivals in the 2013 spring across Southern California. The season culminated in their qualification and strong performance at a SCSBOA regional festival. The Palisades Charter High School Indoor Drum Line, in their second year of WGI and SCPA competition, placed 1st at WGI Placentia and qualified for SCPA Championships for the first time, placing 6th out of 12 championship drum lines. In 2013, the Palisades Charter High School Winter Guard completed a strong season as an independent ensemble in their second year of competitive performance. 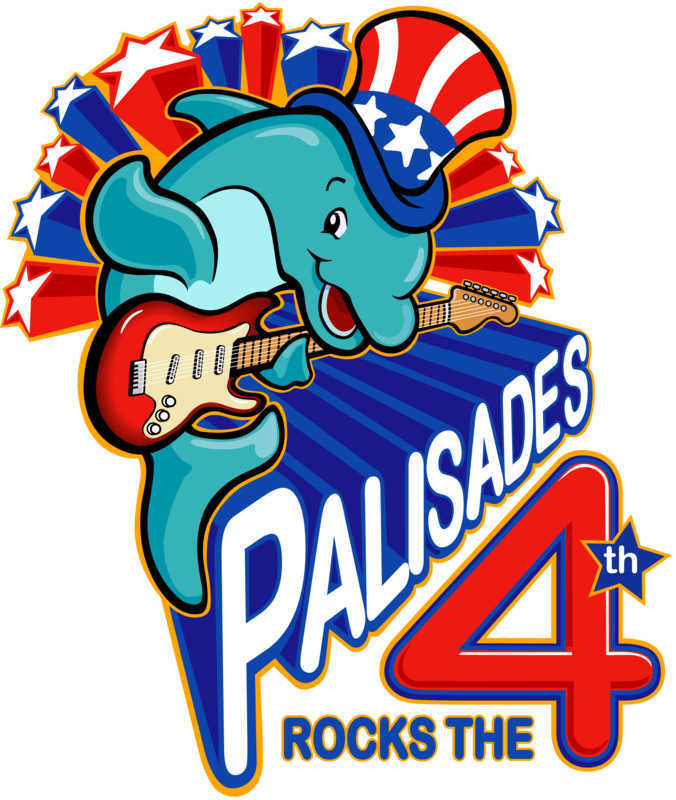 2012 was another exciting year for The Annual Palisades Rocks the Fourth Concert at Palisades Charter H.S. New Wave music staples the English Beat put on an outstanding performance that was the culmination of a night of exceptional musical talent. Other acts included the Palisades High School Concert Band showing off why they are one of the most touted high school programs in the country. 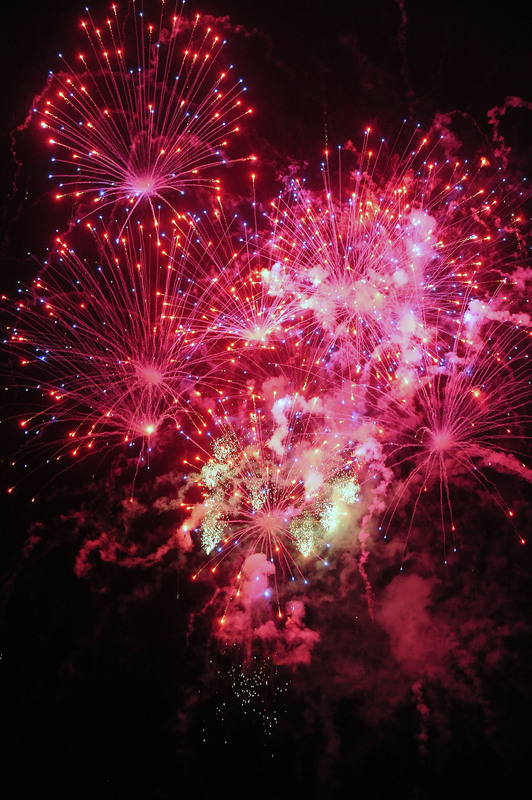 To put an exclamination point on the evening, a fireworks spectaculer followed the musical acts that could only be descibed as magical and breath-taking. The annual Palisades Rocks the Fourth concert at Palisades Charter H.S. was bigger and better in 2011. The concert offered a wide range of the finest local amateur and professional entertainment, playing popular and patriotic songs. 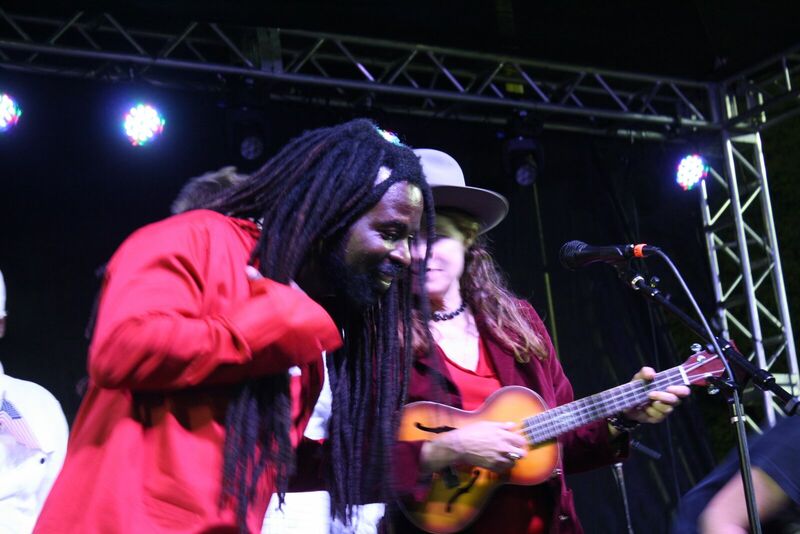 Rocky Dawuni and Band (Reggae); The House Band (Classic Rock); UCLA Cello Quartet (Classical); Set Theory (Jazz); and Palisades Charter H.S. Concert Band (Traditional). Although the concert ran longer than expected, it was capped in breathtaking fashion by the annual fireworks pageant, presented again by world famous Pyro Spectaculars. Proceeds went to the Arwen Hernandez’ Palisades Charter H.S. Music Department. 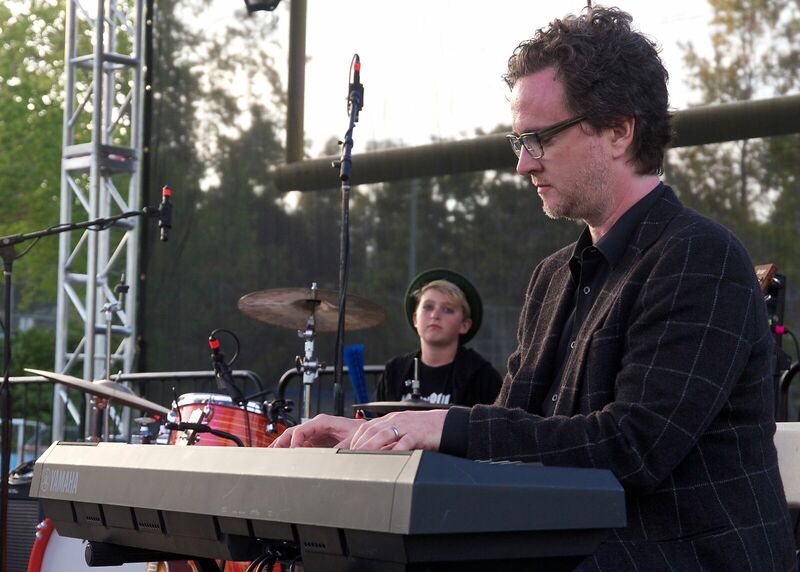 The Third annual Palisades Rocks the Fourth concert at Palisades Charter H.S. was bigger and better than last year. The concert offered a wide range of the finest local amateur and professional entertainment, playing popular and patriotic songs. 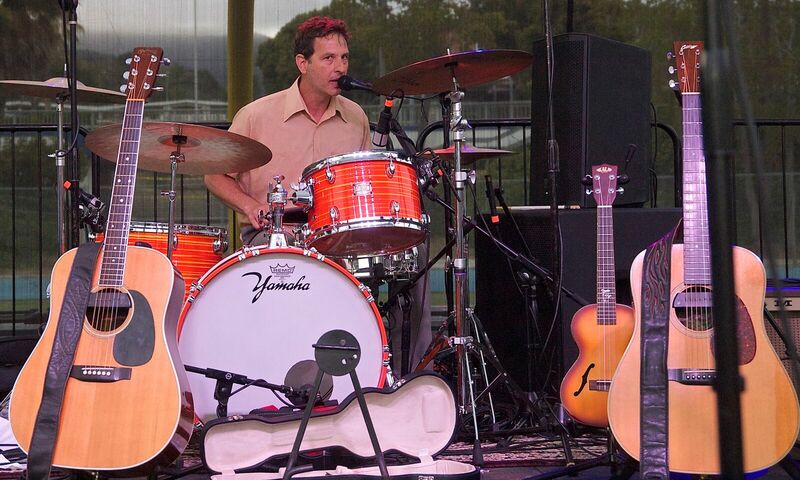 Peter Himmelman; Fourwayfree; That; Palisades High Concert Band. 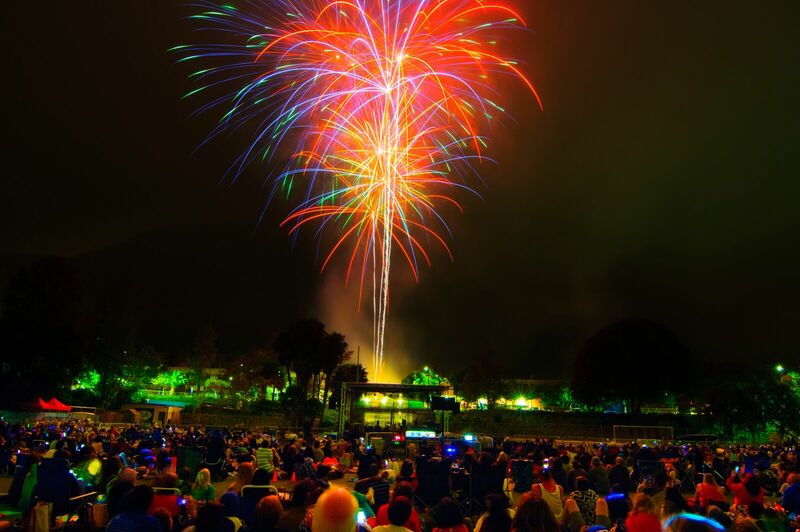 The concert was capped in breathtaking fashion by the annual Pacific Palisades fireworks pageant, again presented by world famous Pyro Spectaculars. Proceeds went to the Palisades Charter H.S. Music Department. July 4, 2009, at 6:30 p.m., a family-oriented musical concert, featuring the Palisades High Concert Band, singer Mimi Vitale, and three Palisades-connected rock bands (The House Band, The Mayberry’s and the Elevaters) performed for a crowd that eventually grew to an estimated 4,000, filling the stadium grandstands and covering the football/soccer field. 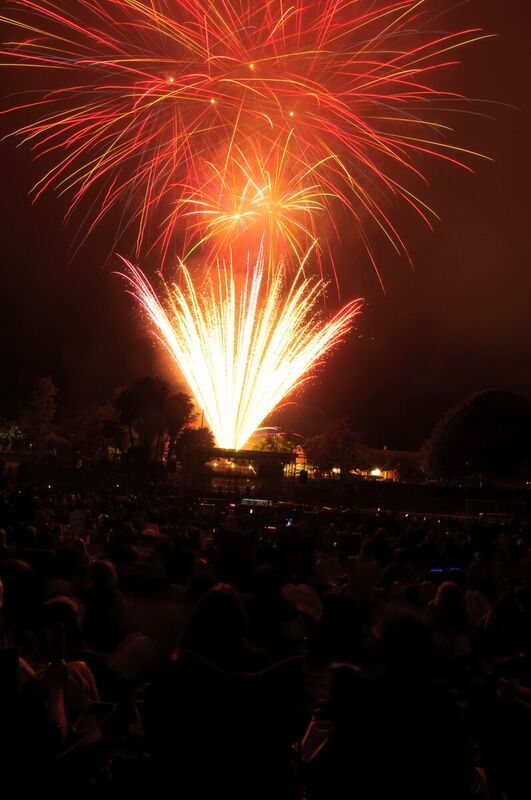 ‘PAPA’s first ‘Palisades Rocks the Fourth’ was a big success,’ said Rich Wilken, the volunteer fireworks show coordinator and longtime resident. The concert was followed by a 20-minute ‘Let Freedom Ring’ fireworks display that included 385 aerial explosives and 24 multi-shot effects. During the show, patriotic tunes like ‘Stars and Stripes Forever’ and the country-western song ‘I’m Proud to Be an American’ played in the background. The pre-fireworks concert was started in 2008. 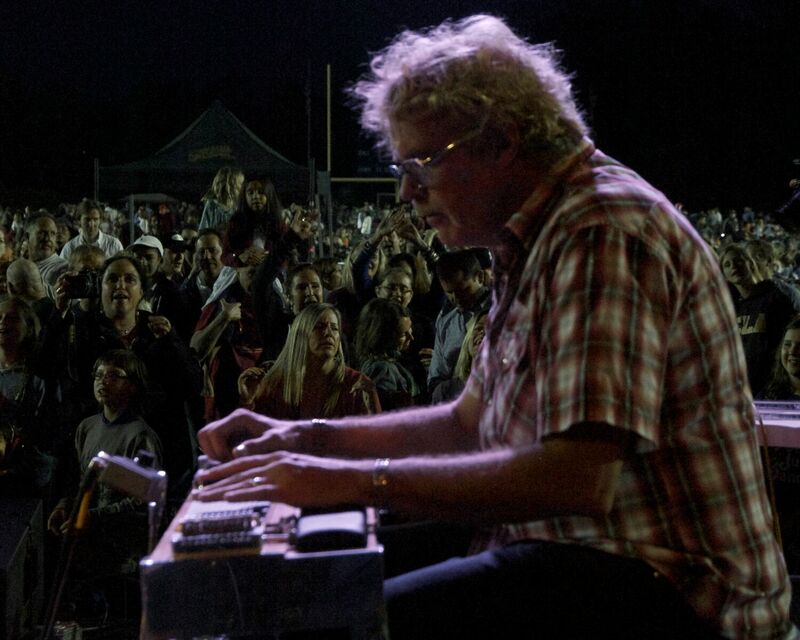 The idea of a pre-fireworks concert had been a dream of Palisades’ residents Rob Weber and Keith Turner, but that year it was possible because the logistics of the fireworks show had to changed as a result of the newly remodeled Palisades High School Stadium (“Stadium by the Sea”). Prior to 2008, the fireworks were shot from the western end-zone of the football field, which resulted in the entire field being fenced off. Spectators were limited to the bench seating. However, in 2008, the Palisades High School Stadium was re-done, including the installation of the an artificial field. Because of a concern that a firework’s shell could light the astro-turf on fire, the fireworks had to be shot for another location not so near the football/soccer field. Finding the new location was a major undertaking. Every possible space in the Palisades, from the beach, to the park, to Temescal Canyon were studied. But none of those locations could accommodate the number of spectators that had historically attended the annual show. The only logical solution was to move the launching are to the school’s quad. However, the L.A. Fire Department denied the initial permit because it felt the firing site was too close to the school buildings. Rich Wilken worked his charm and logic to appeal that decision was able to convince the L.A. Fire Department to allow the fireworks to be shot from the school’s quad. All of the logistics for the fireworks show were decided just a few weeks for July 4th. At the last PAPA meeting before July 4, the Board was discussing what do before the fireworks. 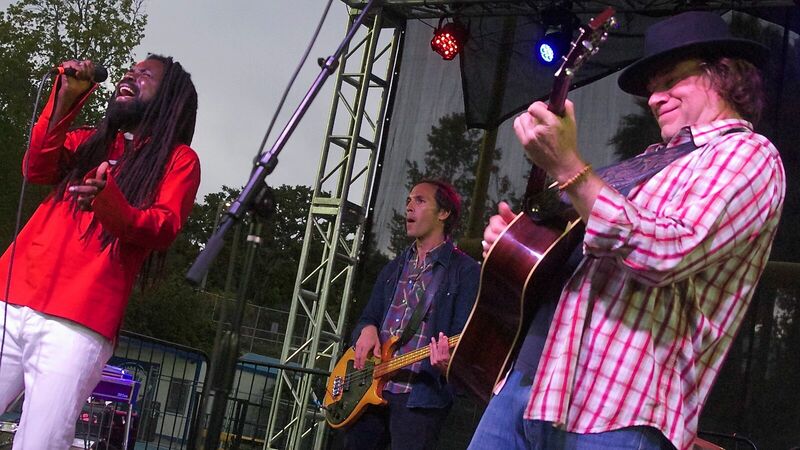 In prior years, canned music was played through the stadium speakers before the firework’s show started at 9 p.m. Bill Bruns, the editor of the Palisadian-Post newspapers, suggested to PAPA Board member Keith Turner that his band play before the fireworks. PAPA approved the concept and Keith Turner’s band paid for the professional sound system themselves. The 2008 show was a huge success. 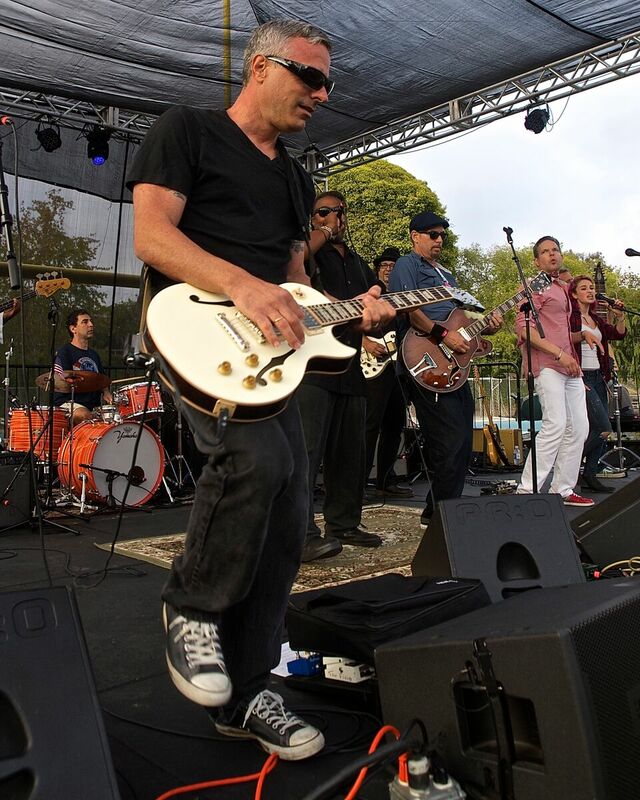 The PaliHi football field was filled with people swaying and dancing to the music of The House Band, a rock band made up of Palisades dads, with a special guest appearance by drummer and parade president Ron Weber. 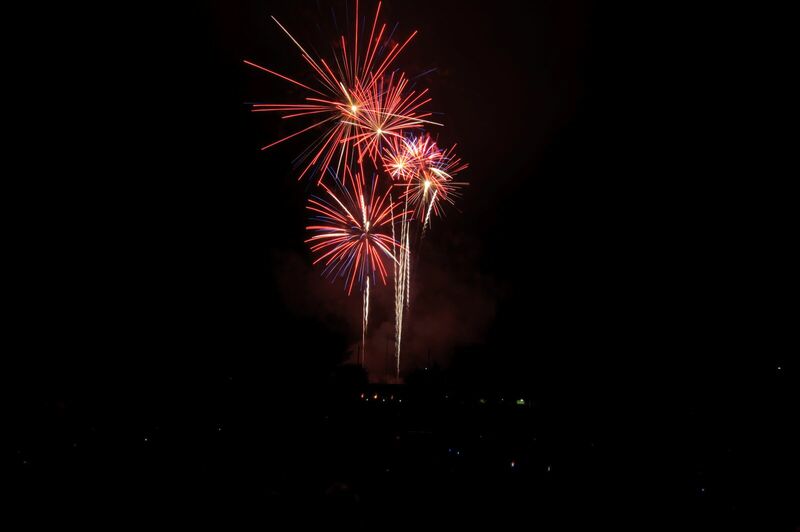 At 9 p.m. the fireworks exploded from the new location, the high school quad, which is about 30 ft. higher in elevation than the former firing site. 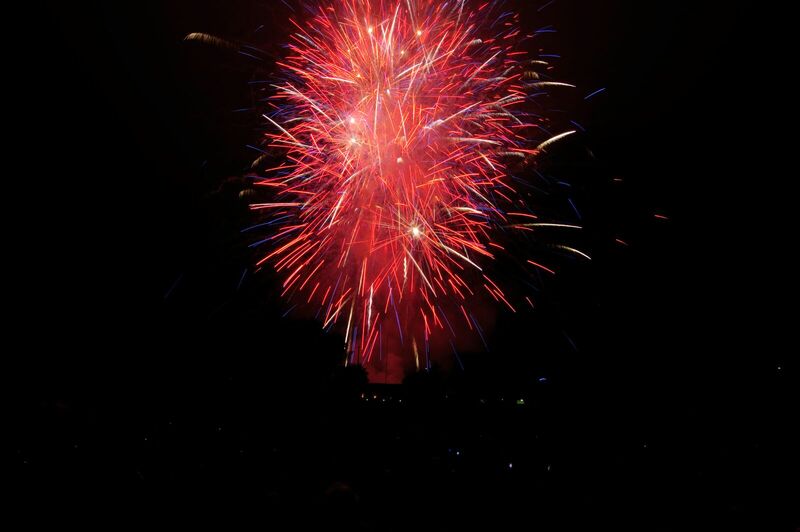 The night went off without a hitch, capping a perfect ending to another Palisades Fourth.